My journey through love, law, and life. The unexpected happened and all of a sudden I found myself in Longbeach, California in May of 2011. 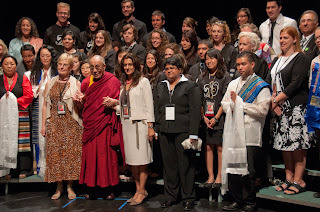 There I was ready to meet the Dalai Lama, in person. Wow! It was a feeling I could not even begin to express. For a man that represents so much peace in the world was just such an honor and privilege for me. I was chosen to be part of such an amazing moment in history through Amnesty International. That day I realized that life is what you make of it and also that it is not possible to change anyone and give them of yourself when it is something the do not seek or prioritize in their life. 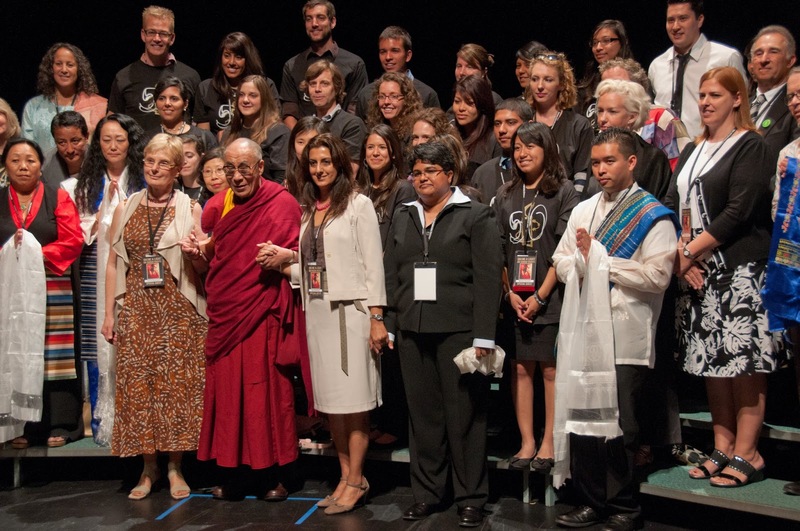 Why that thought came to me as I prepared to meet the Dalai Lama was inconsequential, but there it was. All of a sudden I realized that there is no point in trying to change anyone or giving them something you think they "need" for they are making their own choices, and feeling their own feelings. Compassion means allowance and acceptance of someone as they are. On that day, the moment the Dalai Lama stepped into the room, it was as if a greater consciousness had made an appearance. An immense sense of peace filled the room and also a sense of serenity and happiness. I knew not what he would say to us, but as I stood there listening to him speak, his words filled the room with lightheartedness and laughter as he made jokes about all things. A pleasant smile, a peaceful soul and a being on a mission to create awareness and love in this world. I am forever grateful for having met his holiness the Dalai Lama and will carry the experience with me for all the days of my life. This is one of my favorite parables as applied to love and relationships. I believe it to be a very powerful message of trust and genuine love. I am sharing the message as posted on the blog of Paulo Coehlo, one of my all time favorite authors. It is from his book Eleven Minutes. Once upon a time, there was a bird. He was adorned with two perfect wings and with glossy, colorful, marvelous feathers. One day, a woman saw this bird and fell in love with him. She invited the bird to fly with her, and the two travelled across the sky in perfect harmony. She admired and venerated and celebrated that bird. But then she thought: He might want to visit far-off mountains! And she was afraid, afraid that she would never feel the same way about any other bird. The bird, who was also in love, returned the following day, fell into the trap and was put in a cage. However, a strange transformation began to take place: now that she had the bird and no longer needed to woo him, she began to lose interest. The bird, unable to fly and express the true meaning of his life, began to waste away and his feathers to lose their gloss; he grew ugly; and the woman no longer paid him any attention, except by feeding him and cleaning out his cage. One day, the bird died. The woman felt terribly sad and spent all her time thinking about him. But she did not remember the cage, she thought only of the day when she had seen him for the first time, flying contentedly amongst the clouds. If she had looked more deeply into herself, she would have realized that what had thrilled her about the bird was his freedom, the energy of his wings in motion, not his physical body. Without the bird, her life too lost all meaning, and Death came knocking at her door. “Why have you come?” she asked Death. “So that you can fly once more with him across the sky,” Death replied.